JamesVanDerMeme: A Gif For Every Occasion! 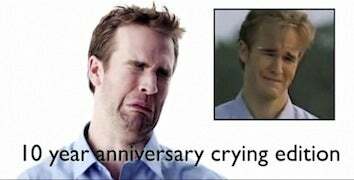 On Funny or Die, James Van Der Beek announced he's capitalizing on his face being synonymous with sadness online by launching JamesVanDerMemes.com. Now Dawson can help you express a wide range of emotions, from "happiness" to "Lilo eye roll."